It's winter, and many of us are feeling more than just holiday cheer; we're feeling cold! Bryan and Cherry Alexander have traveled to the coldest regions of the earth to capture extraordinary images of indigenous life in these Arctic climates. Science Source has thousands of new and astonishing medical illustrations online. Click here to get "drawn in" and be dazzled by this collection from 3D4Medical. Ever wonder what Happy Hour would look like under a Scanning Electron Microscope? 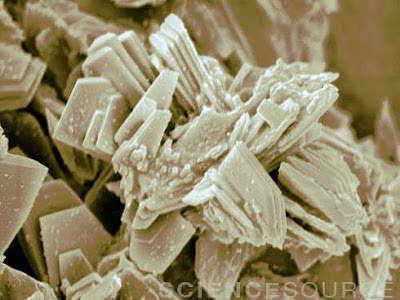 BE6778 SEM of cork from a bottle of red wine. Magnification: 3846x. Credit: Scimat / Photo Researchers, Inc.Who knows how to have fun with stock photos of SEMs? Science Source, of course. 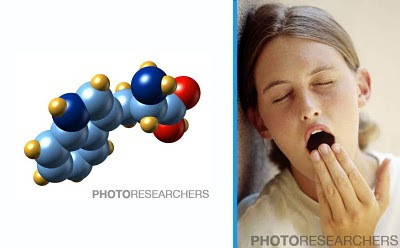 Do you know what these two images have in common? Molecule Image Credit: Dr. Mark J. 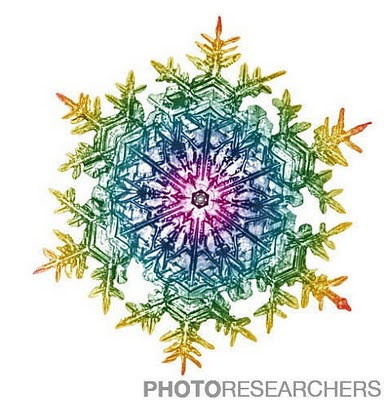 Winter / Photo Researchers, Inc. Girl Image Credit: Will & Deni McIntyre / Photo Researchers, Inc. This is a very pretty picture of something, alright. But what do you think it's a picture of? Any guesses? On this day in 1970, U.S. Patent No. 3541541 was issued to inventor Doug Engelbart for his "X-Y Position Indicator for a Display System," which he and his colleagues called a "mouse," after its tail-like cable. Credit: Stephen Gerard / Photo Researchers, Inc. Check out a few more images of mice (the computer kind) on our website. On November 8, 1895, physicist Wilhelm Conrad Röntgen (1845–1923) discovered x-rays, beginning a new era in physics and medicine. Although x-rays had been observed previously, it was Röentgen, a professor at the University of Wurzburg (Germany), who successfully repeated x-ray experimentation and who is credited with the discovery. 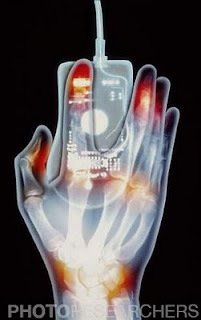 Ever wondered what it would be like to have x-ray vision? 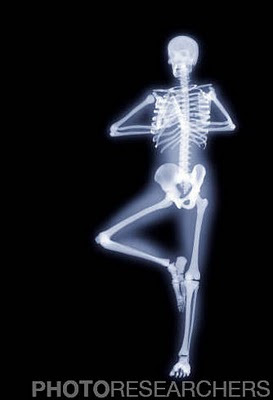 Take a look at an assortment of our X-ray Images and find out! 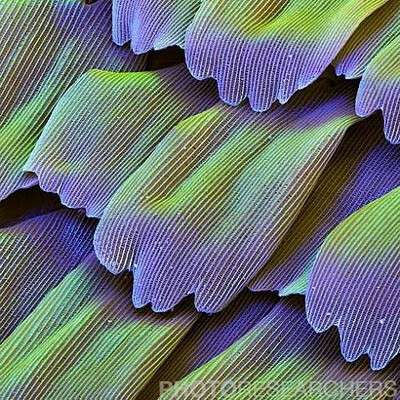 Credit: Gustoimages / Photo Researchers, Inc.
Can you guess what this is a picture of?? Credit: Dee Breger / Photo Researchers, Inc. 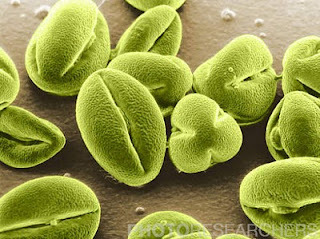 Hint: Think about SEM Images. 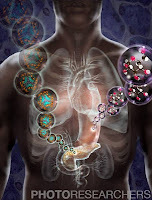 Check out a general sample of Diabetes Related Images available on our website. Credit: Jim Dowdalls / Photo Researchers, Inc.
Diabetes isa condition where the body does not produce or properly use insulin. Type 2, the most common form, most often diagnosed in adults. Risk Factorsfor Type 2 diabetes include, but are not limited to: - Obesity - High blood pressure - High triglycerides- Low hDLThe transport of cholesterol via high density lipoproteins (HDL) in the blood. 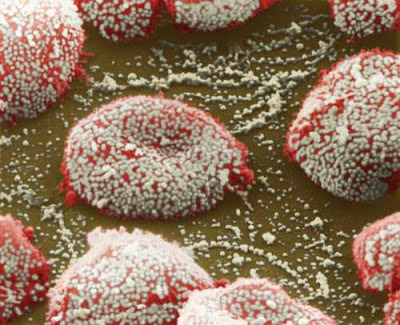 Credit: MedicalRF / Photo Researchers, Inc.
Find out what you can do to help Stop Diabetes! Credit: New York Public Library / Photo Researchers, Inc. It's Jonas Salk's birthday today! 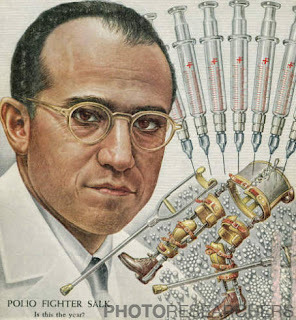 In 1952, Salk invented a vaccine for the Polio Virus, saving thousands of lives and preventing many tens of thousands of cases of the crippling illness. As trees change color for fall, leaf peepers rush to the countryside to enjoy the bright foliage. Little do they realize they're missing an even better show inside the leaves! Check out the world of botany from a whole new angle. Peep here at the hidden foliage, not to mention the botanists who explain it all! 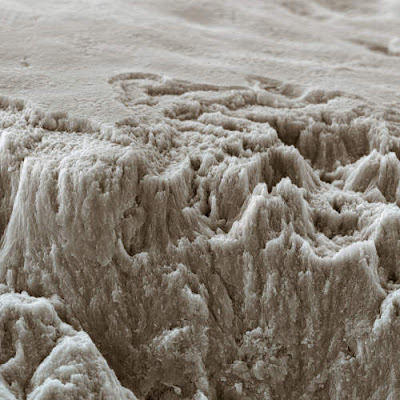 Credit: Biophoto Associates / Photo Researchers, Inc.
Powdered doughnuts or perhaps a candy-maker's new confection? You'd better not put off getting your Flu vaccine!! ScienceSource.com is a division of Photo Researchers, Inc.
Benoit Mandelbrot, the IBM pioneer of fractals, died on Thursday, October 14, 2010. Check out science stock photosof Mandelbrot Fractals. Can you guess what this is? Is it a glacier in Antarctica? The surface of a nearby planet? 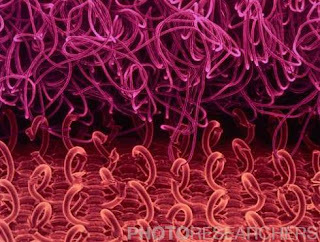 Credit: Eye of Science / Photo Researchers, Inc.
old and new friends in the stock photo industry. Account Reps., Bill Zontini (r) and Peter Pagan (l) were excited to talk to customers in person about our science photos that include medical stock photos, medical stock illustrations, sem images and much, much more. Anita Duncan saw old friends from Scholastic, Veronica and Debbie. Bob, Jacki and Anita answered questions about the world of science stock photography. Jeepers Creepers, Where'd You Get Those Eyes?! SEEING is Believing! 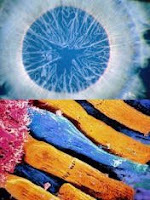 Science Source takes a closer LOOK at the beauty, function, and intricacies of our own EYES. These delicate built-in camera lenses are able to adjust their focus and aperture thousands of times a day without our even being aware of it. Everyday we expose them to allergens, dust, pollen, drying winds, and bacteria yet sometimes all it takes is a split second self-cleaning blink and then we're off LOOKING for our next adventure. Medical science continues to make amazing strides where it is now possible to restore a person's EYESIGHT through the use of telescopic eye implants, which were recently approved by the FDA. In the not too distant future we will see retinal implants help restore partial VISION to folks who fall victim to degenerativediseases like retinitis pigmentosa or macular degeneration. Want to SEE more? Let's LOOK deeply into those amazing eyes. ** ScienceSource.com is a division of Photo Researchers, Inc.
You Are A Modern Art Masterpiece! According to a recent French study, women are nearly twice as likely to die within a month of their heart attacks than men are. The study seems to show that once in the hospital women tend to receive fewer procedures like angiograms, which would help pinpoint the location of the blockage, and angioplasty, which would help open the blockage. So why aren't female cardiac patients being treated like their male counterparts? One reason may be that in many past heart studies the majority of patients have been men, meaning that women's cardiac issues were being slightly overlooked. This recent medical study, sponsored by Sanofi Aventis, Glaxo Smith Kline, and Novartis, analyzed data from nearly 3,500 heart attack patients who were treated between January 2006 and December 2007. A third of those patients were women. 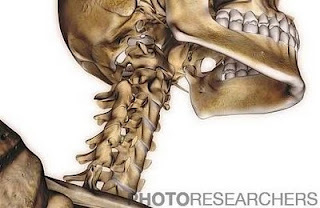 Science Source has a huge collection of rights managed and royalty free Medical stock photos, scans, and illustrations. View our images of Heart Health for Women. Why Don't Men Take Better Care of Themselves? According to a 2001 CDC report, women are 33% more likely than men to visit a doctor. This gap narrows as men get older but in general most put off seeing their physician until they are very sick. There seems to be a disconnect in their minds between doctor visits and preventative health-care maintenance. Many of the top causes of death among adult males (heart disease, stroke, depression, prostate cancer, and lung cancer) can be averted but only if they are found and treated early. Dr. Jean Bonhomme, a board member of the MHN places part of the blame on society in general, which expects boys to be tough and ignore pain. "As people get older, however, the rules change. A little pain can get worse, or signal something more serious going on in the body."